Mahesh Babu's Wife Namrata And Kids Are In Tuscany. But Where's The SPYder Star? Mahesh Babu is currently enjoying the box office success of his new release SPYder while his family is holidaying in Tuscany. Telugu superstar Mahesh Babu is currently enjoying the box office success of his new release SPYderwhile his family is holidaying in Tuscany. 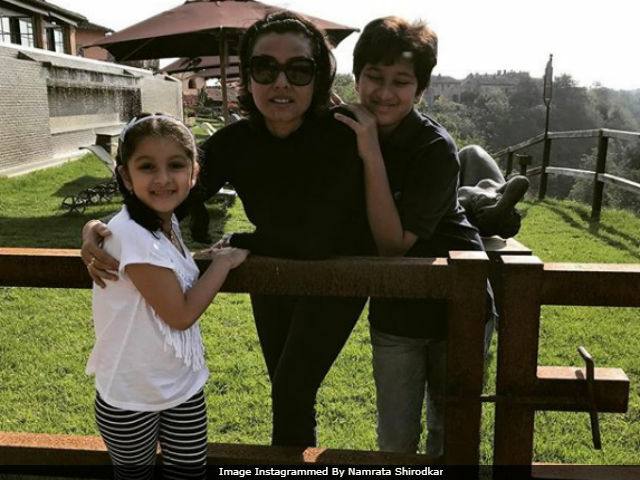 Mahesh Babu's wife Namrata Shirodkar shared a couple of pictures on Instagram with their children, Gautam, 11 and Sitara, 5. But where's Mahesh Babu? May be busy with SPYder duties? SPYder, a bilingual film, directed by A R Murugadoss, also marks Mahesh Babu's debut in Tamil film industry. SPYder released last week and has globally collected over Rs 105 crore. While we wait for Namrata to post more pictures from their Tuscany vacation, here's what she, Gautam and Sitara are up to. "Soaking in some Tuscan sun," writes Namrata. Mahesh Babu, 42, married Namrata Shirodkar, 45, in 2005. She is a former beauty queen and actress. Salman Khan and Twinkle Khanna's Jab Pyaar Kisise Hota Hai, which released in (1998) was her debut Bollywood film. Namrata Shirodkar also been part of films like Vaastav: The Reality, Pukar, Astitva, Dil Vil Pyar Vyar and Bride and Prejudice. Ahead of SPYder's release, Mahesh Babu revealed revealed that he is 'nervous' about his Tamil debut. "I've been having sleepless nights. I'm nervous, but at the same time excited. SPYder is my debut in Tamil and I feel like a debutante despite being an actor for 18 years," he told news agency IANS. Mahesh Babu is the star of films such as Murari, Okkadu, Pokiri, Businessman. He also has Bharath Ane Nenu and Jana Gana Mana in the pipeline. Pokiri was a massive hit at the box office and the film was remade in Hindi as Wanted, which was headlined by Salman Khan.